If you look through major tour company itineraries for Peru, you’ll see that most of them don’t spend much time in the Sacred Valley between Cusco and Machu Picchu. They rush through the Valle Sagrado to tick off a few sites like Pisac and Ollaytantambo on a bus tour. Or they skip the valley altogether and just ride through on the Hiram Bingham luxury train. This is a big shame and it pains us to see so many travelers rushing through Peru. When you only hit the well-known highlights, you spend most of your time with throngs of tourists, tip-demanding photo posers, and local vendors all selling similar items. You don’t see where the Andean people really live or get into their communities. Your adventures are very much on the beaten path, never off it. There are plenty of upscale hotels in the Sacred Valley itself, however, places you can use as a base for exploring the region. You can see the best-known sites after everyone else has gotten back on their tour buses and you can get further into the mountains to hike or bike around alpine lakes. If you really want to experience the Sacred Valley of the Incas region in all its glory, while eating and drinking well at the same time, book a stay at explora Valle Sagrado. Their all-inclusive set-up pairs every guest with adventures that match their ability and tastes. 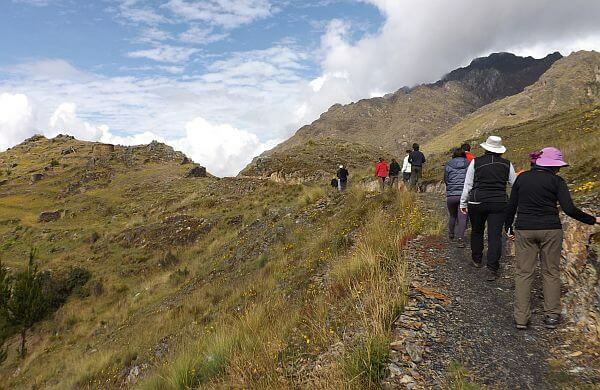 An all-day hike in the Lares region visits the Quinsacocha lagoon, across the Valle de la Papa, visiting the Quechua community of Chahuaytire, a place with an ancient textile tradition where you learn about natural dying and back strap loom techniques. The trip ends in the archaeological center of Pisaq, a city built on a mountain with hundreds of remarkable hanging farm terraces on its slopes. 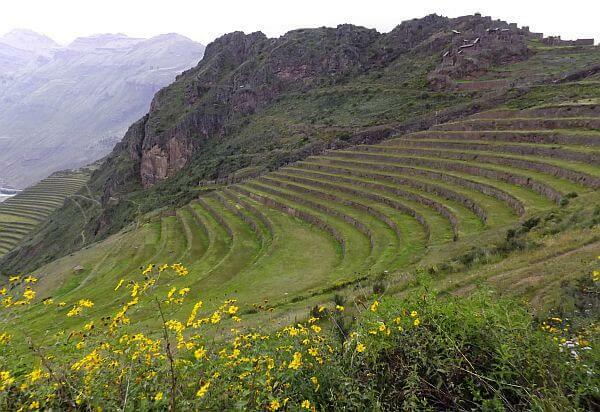 A 23-mile bike ride that crosses the farmlands of Chinchero visits the remains of the Moray experimental crop center, then passes through the colonial town of Maras and its Inca salt-mines, finally descending to the Urubamba River. 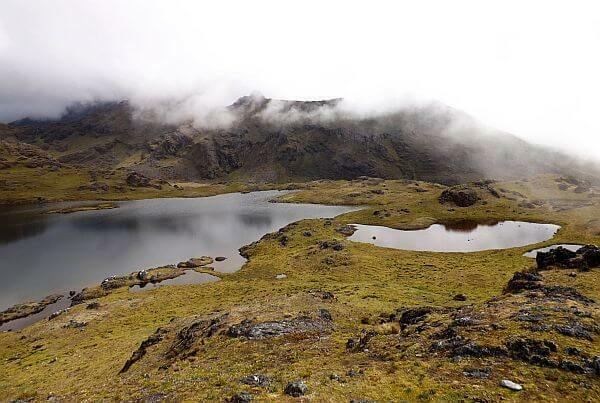 The “5 Lagunas” half-day hike begins at an isolated community in the heights of the Andes. From there, the trail goes up to a broad pass where you see the snow-capped Sawasiray and other high peaks. The descent goes through a ravine with llama and alpaca herds, passing beside several lagoons that reflect the surrounding mountains. A combo trip rides by van to Chinchero, where you start an uphill hike through crop fields overlooking the valley and the snowy peaks that crown the mountains. The small group walks to the Machu Kolka archaeological site, formerly used as a product storage warehouse, then you have lunch with a view at a lookout point. After, you get on bikes and start a descent down a winding dirt road to Huayllabamba. From there you skirt around different crop fields and bike back to explora, where the bar will be open and waiting. And of course if you’ve come all this way for the first time, you’re probably going to want to visit iconic Machu Picchu. Don’t worry, if you don’t go there before or after your stay at explora, they can make that one of your excursions with an additional surcharge to cover the van/train/bus/entrance costs required to get to the citadel and back. Now that they have added a spa in a historic home on the property, you can work out the kinks in those sore muscles as well when you get back to the lodge and relax in the hot tub or swimming pool. See our recently updated review of explora Valle Sagrado and visit their website to make a booking. Right now they’re offering a free fourth night with three paid, which is a fantastic deal!